I was introduced to Sue Withers by a friend of a friend many years ago. I had done other web design projects for expats in Kenya and Sue got in touch with me, word of mouth is such a great thing. 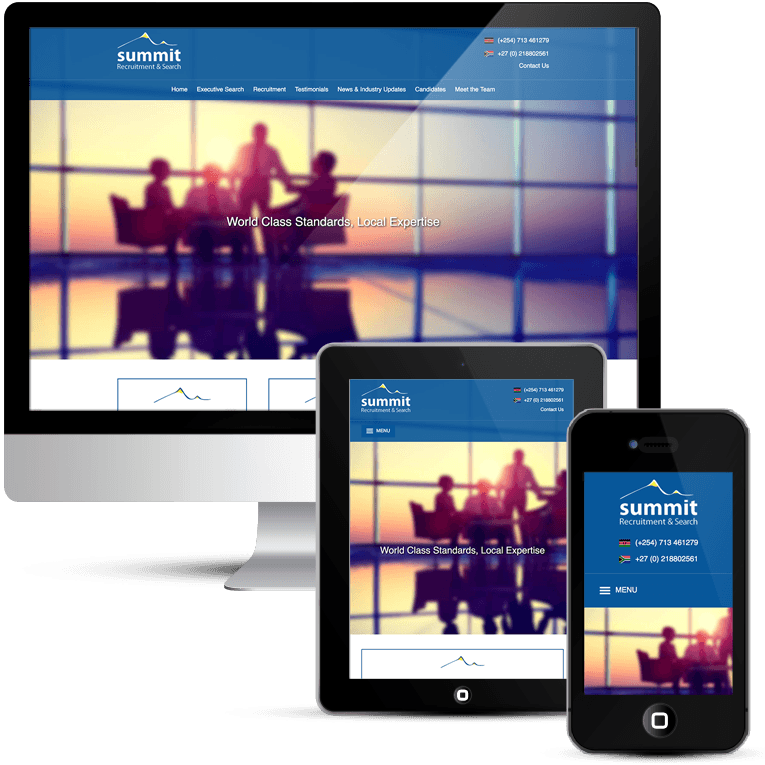 Subsequently, I have been working with Summit Recruitment since 2013, when I built their first website. They decided after 4 years to do a web design update because their business has moved focus into a different market. They are also operating in a much broader geographical area now. Summit invited me again to do the new web design, it is just the best accolade you can get when clients invite you back again. They are a great team over there and I can see why they have such great success. Designing websites for recruitment companies is a bit different and a little more specialist because they have very different requirements. They need to be able to sort their available opportunities by many criteria, including location, salary, job type and more. Job boards need to be well laid out and easy for potential candidates to search. The website needs to demonstrate knowledge and show the recruitment company to be an expert in its field. Online applications and the ability for candidates to upload their CVs are essential. WordPress of course makes all of this possible from uploading and managing career opportunities to posting the latest news. I really enjoy recruitment company web design, it is definitely a challenge but with that comes plenty of job satisfaction.